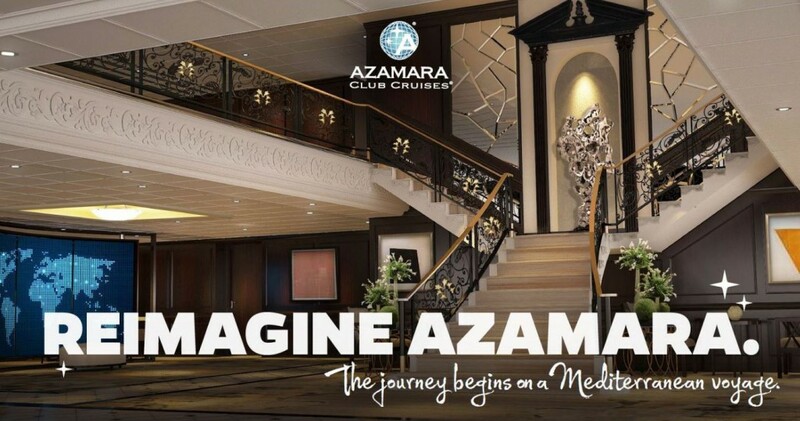 Recently Azamara Club Cruises, the boutique cruise line that offers an up-market experience at sea for a “critical and sophisticated cruise audience”, announced that its two ships – Azamara Journey and Azamara Quest – will undergo “major enhancements” in early 2016. Founded in 2007 and re-launched as Azamara Club Cruises in 2009, together with Royal Caribbean International, Celebrity Cruises, Pullmantur, CDF Croisieres de France and TUI Cruises, is a brand of Royal Caribbean Cruises Ltd. The upscale cruise line offers an up-market experience at sea for a critical and sophisticated cruise audience that loves cruising and is interested in new and immersive ways to see the world. 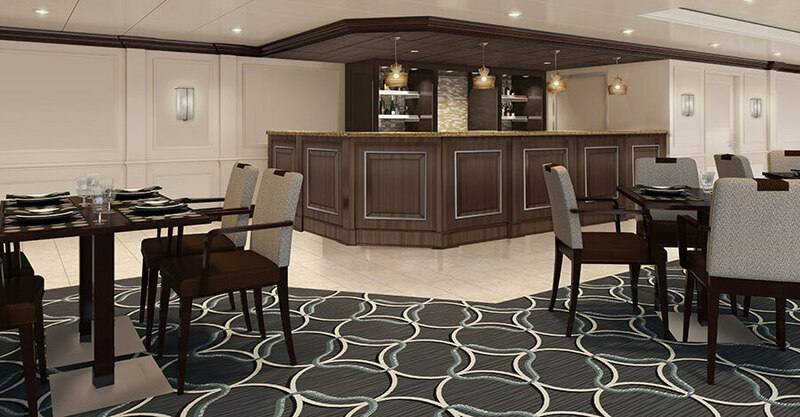 The cruise line’s two, European boutique-style, 686-guest ships each offer a sophisticated, relaxing ambiance to unique destinations. 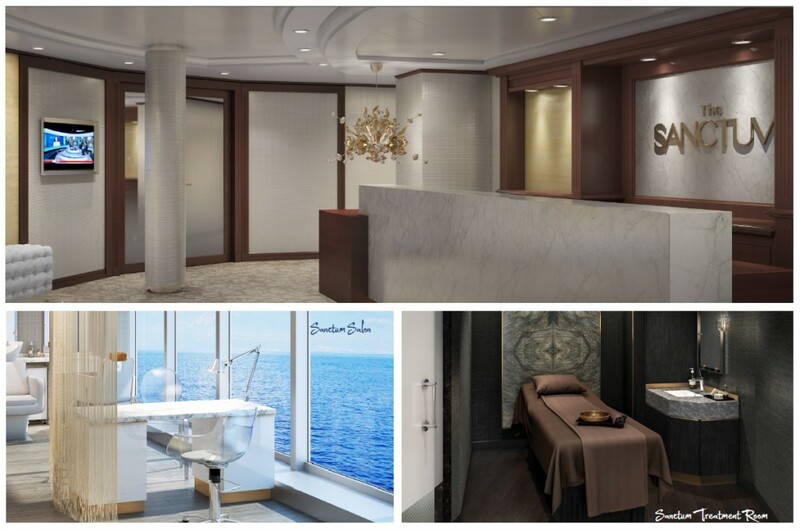 Beginning 2016 Azamara is “Reimagining Azamara” with major transformations to its two ships. 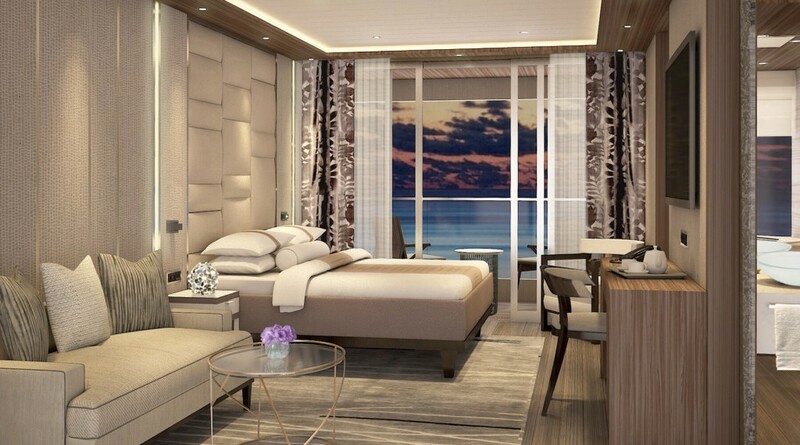 Azamara Journey and Azamara Quest will be transformed from bow to stern with new staterooms and suites, new dining and entertainment areas and new services and amenities. The ships will receive a whole new interior design inspired by beautiful landscapes, flowing waters and refreshing earth tones while incorporating modern and contemporary elements. The former Looking Glass Lounge will be transformed into The Living Room, a fresh and vibrant space for relaxing, playing cards or enjoying live music while having a bite to eat from the wine & tapas Bar. The outdoor area, the Pool Grill, will be transformed into The Patio, a sit-down al fresco dining expercience in the evening. A self-serve frozen yoghurt area, new lighting, canvas ceilings and fans will be added to complement the new modern style of the ships. A new spa and salon concept, The Sanctum, will introduce a holistic health, wellness and vigor program combining Eastern and Western wellness treatments. A cruise with Azamara Club Cruises is an all inclusive experience: included gratuities for housekeeping, dining and bar staff, self-service laundry, complimentary bottled water, sodas, specialty coffee, and teas, as well as complimentary wines to accompany lunch and dinner and shuttle bus service to/from port communities. Suite guests also enjoy English butler service, 235 minutes complimentary internet per guest, complimentary specialty restaurants, in-suite afternoon tea service and a complimentary excursion. All staterooms and suites will get new blackout curtains, bed linens, duvets, pillows, curtains, side boards, sofas, chairs, carpeting, lighting and 42inch flat screen TVs… or in other words EVERYTHING wil be replaced! 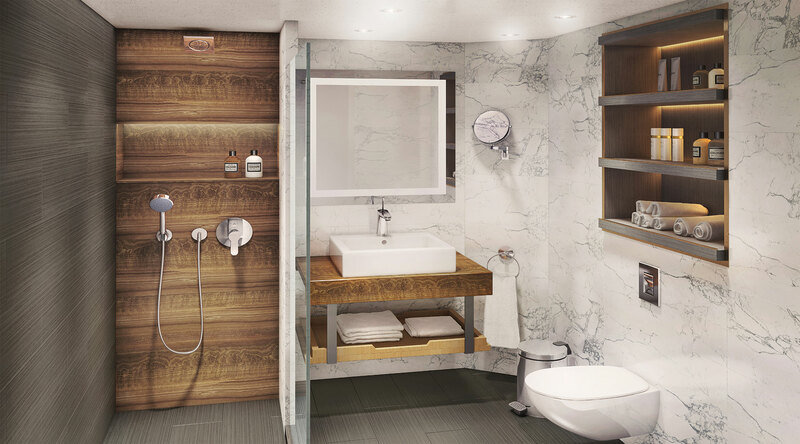 Together with the complete refurbishments of the ships Azamara is introducing the Club Spa Suites. These suites will be located next to the Sanctum Spa and feature a spacious glass-enclosed spa soaking tub and separate rain shower bringing the outside in, with views of the endless seas. Club Spa Suite guests will also enjoy exclusive amenities in addition to the standard stateroom and suite guest amenities: a complimentary “Nights in Private Places” experience for two and a $200 spa credit, per suite, to be used for spa treatments. Finishing touch of the total refurbishment will be the installation of a new pervasive WiFi system, enabling guests to stay connected throughout the ship. While other major cruise lines are busy building “bigger and better” new ships, Azamara Club Cruises maintains her focus on offering exclusive experiences on exclusive ships. 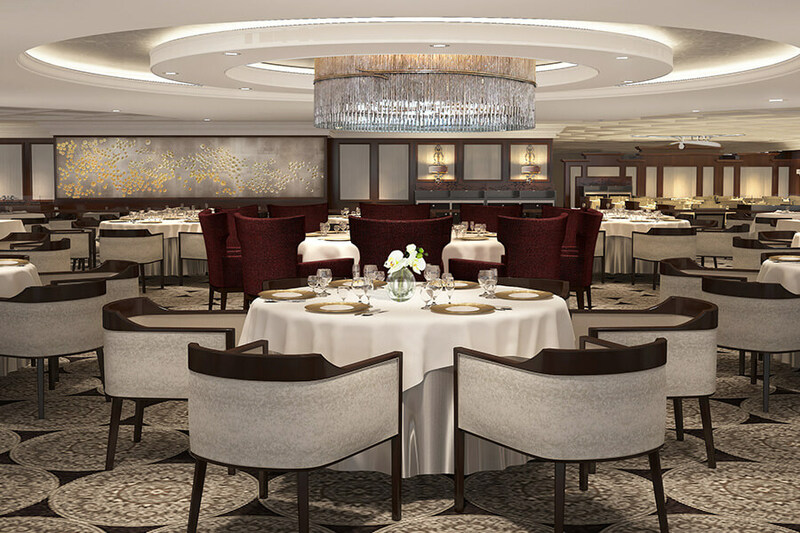 The upcoming refurbishments will guarantee Azamara Journey and Azamara Quest a continued position among the most luxurious cruise ships in the world.